There is a built-in console with VIRL. It allows access to the CLI of the network devices that you deploy so you can administer them. In previous build there were some clicky click features. Due to the dynamic shared nature of VIRL when you deploy a topology there are large number of ports in a pool it chooses from. If you are constantly changing, restarting, deploying or tweaking your VIRL platform these ports can change quite a bit. Previously you had to individually open each console and type telnet : from your or right-click on each router and open a terminal in VM Maestro. If you have a large topology this can be frustrating. Let alone the fact you miss out on great features like SecureCRT’s send to all tabs. 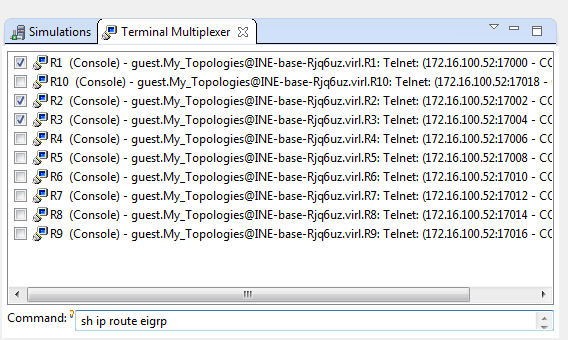 It is great for running show ip route eigrp on all ten tabs at once! I submitted a feature request email in to the team and I do not think I was alone. 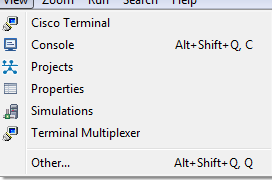 The most recent build has brought a feature called Terminal Multiplexing. It allows the ability with one click to open all terminal windows on all devices in the topology. 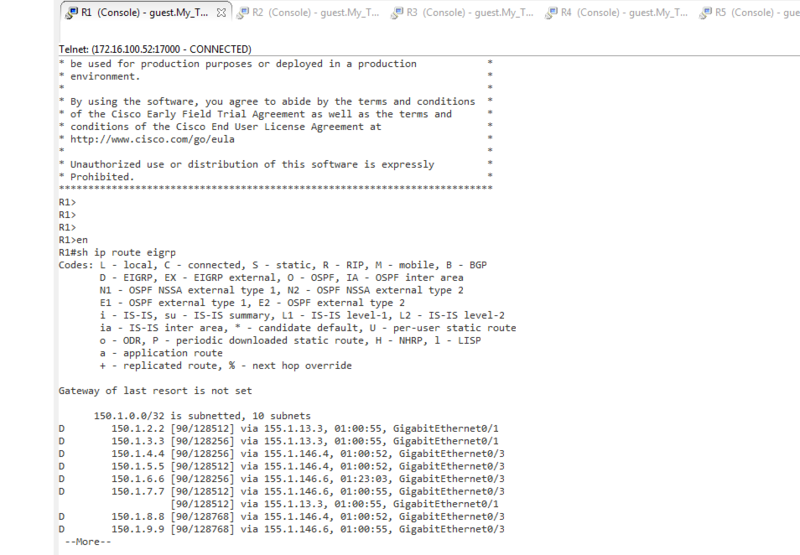 Select the routers you want to issue a command on and then type the command in the window. As you can see it did not send anything to a device it should not have. The dynamic nature of port bindings (whilst sequential in my topology) made it too time consuming to adjust my SecureCRT ports all the time. Using the maestro client is fine for something like this. More time learning new things than preparing the lab. It is great to see feedback incorporated into software quickly. Keeps customers happy and developers have feedback from the field. The joy of software is that changes can be easily made! Good work team VIRL. This works too by the way, set the terminal to external term, put this command in both telnet/ssh boxes. you can right click -> open all console ports and will open in securecrt, now you can use chat send to all. Thanks Yandy. Good stuff there. I definitely tried that and failed. Appreciate you sharing it. How did the name transfer go? with the new build they changed it so you can pass the %t flag, and that actually sends the variable with the window title in it. So it’s actually working perfectly for me. Have not tried it in windows, so the part about windows is pure speculation. How to you get Cisco VIRL?